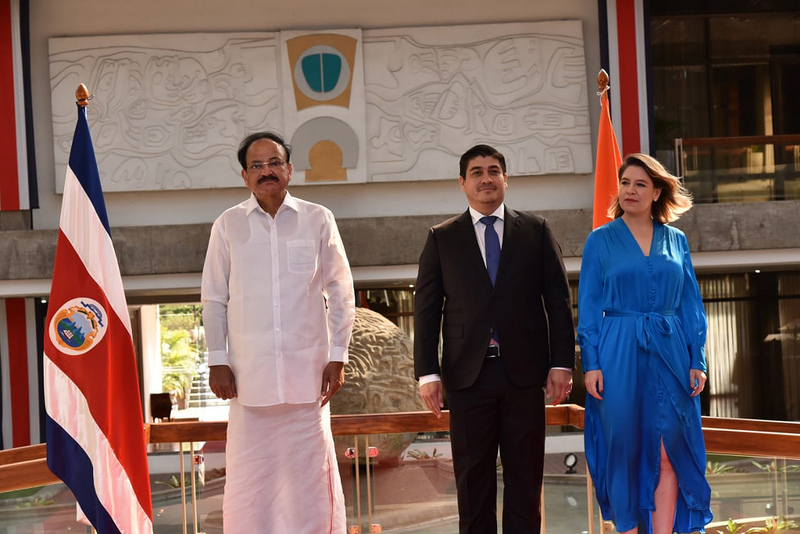 New Delhi: Vice President of India Shri M. Venkaiah Naidu was paid a visit to the Republic of Costa Rica from 7-9 March 2019. Visit of Vice President Naidu to the Republic of Costa Rica was the first ever high-level visit from India. Former Second Vice President of Costa Rica Ms. Ana Helena Chacon Echeverria had visited India in October 2015. There have been other ministerial and other level exchanges between the two countries at periodic intervals. Engagements of the Vice President in Costa Rica was included meetings with President of the Republic of Costa Rica, Mr. Carlos Alvarado Quesada, First Vice President, Ms. Epsy Campbell Barr as well as President of Congress Ms. Carolina Hidalgo Herrera. VP addressed the prestigious University of Peace, established under the auspices of the United Nations with a specific mandate of furthering the agenda of peace. He delivered the keynote address at the India-Costa Rica business forum; and meet with the Indian community in Costa Rica. 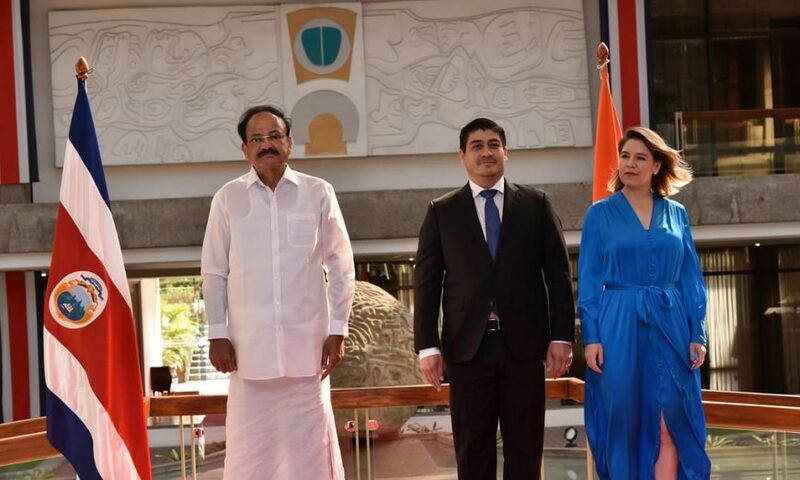 India and Costa Rica enjoy long-standing relations of friendship and cooperation, which are being strengthened by the growing commercial engagement between the two countries. Bilateral trade between India and Costa Rica is US $ 200 mn. Indian exports to Costa Rica total US $ 133 mn with auto, motorcycles and pharma figuring among top exports. Imports from Costa Rica are mainly teakwood. With a commitment to become carbon-neutral country by 2021, Costa Rica has joined the International Solar Alliance. The visit of Vice President to the two countries is to advance India’s outreach to the important countries in the region. This visit will provide an opportunity to provide impetus to our bilateral relations in trade and investment, ICT, renewable energy including hydel, education, healthcare, space and people to people linkages.